A seagull stands guard at West Dennis Beach during the off season keeping a watchfull eye on Nantucket Sound. 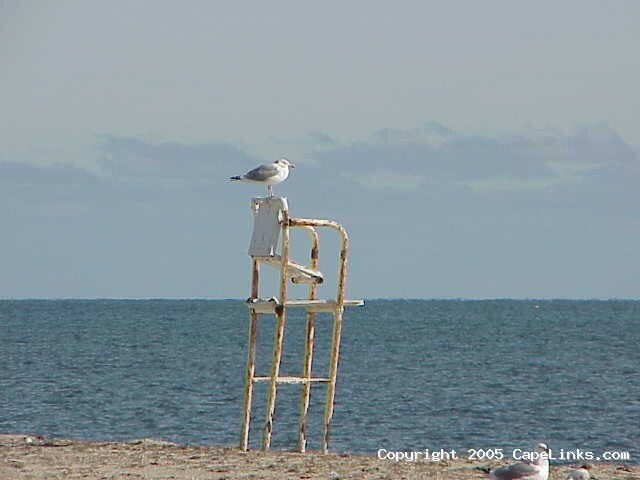 From a rusty lifeguard chair, this gull has his eye out for the next meal, a fish, a clam, or a McDonalds french fry. This image has been viewed 13359 times and no comments have been submitted yet. You may leave a comment about this image. You can also view more Beaches and Cape Cod images or learn more about Cape Cod.